Home » The Mirror News » Sensational Summer! 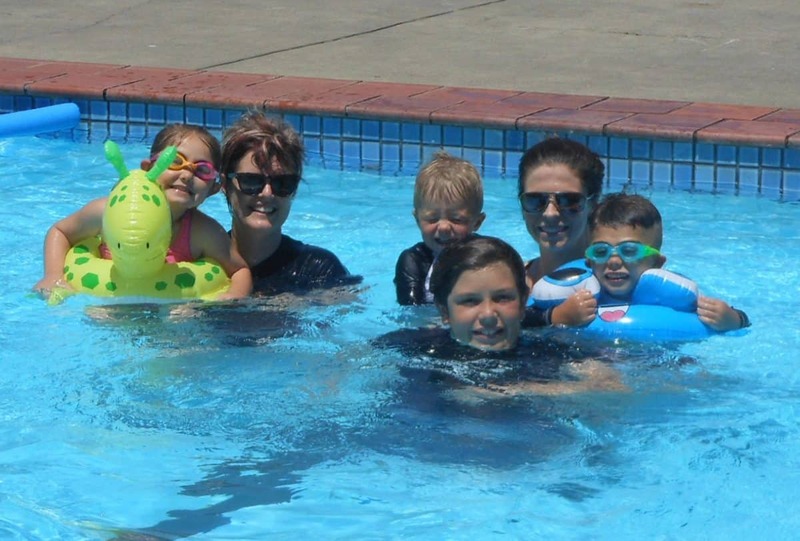 • Local mums Shannon and Catie found the best place to be with their young children last Friday afternoon as the temperature tipped 41 degrees in Foster, one of the hottest days experienced for many years. TOURISM is alive and well in South Gippsland, with hoards of tourists flocking to our part of the world in droves. Local traders have been rubbing their hands together over the amount of people who have visited South Gippsland over the holiday period. The opening of the Long Jetty at Port Welshpool has seen thousands of people visit the seaside township and it no doubt has had benefits for other local towns as well. The Promontory Home Produce Craft market on December 30 was another big day for the area with thousands of people converging on Foster throughout the day. The Stony Creek races saw over 2000 patrons on the Saturday after Christmas in what was described as a great day for country racing. Sea Days attracted lots of people last weekend to Port Welshpool, the event turning into a popular annual event. Wilsons Promontory is always busy and there have been many, many day visitors as well as the usual campers again this year. Rick Bromley from Bromleys on Main in Foster said business had been exceptionally busy from before Christmas and at times out of control. He said it seems better than last year. Phil Rerden of the Foster Chamber of Commerce said the weather might have contributed to the huge amount of people that had converged into local towns, and he believed it was the strongest season in the last 10 years. Many traders he had spoken to agreed it had been exceptional so far. There seems to be more people about this year, which is great for all our local traders. Phil said the laneway looked great with the Christmas tree and the whole town was inviting for everyone to see. Last Friday’s 40 degree plus day saw a busy start to the day, before everyone ventured out of the heat. The Foster Swimming pool was a nice place to cool off. The book sale at the Foster War Memorial Arts Centre last Friday saw the extreme heat keep people away on Friday afternoon, but droves of people turned up early. With the holiday season contuning until Easter, there will no doubt be plenty more people discovering our part of the world in the coming months. With other events planned in the future like the Pearl Park Music Festival on January 19, there will be plenty for everyone to enjoy in our special part of the world.